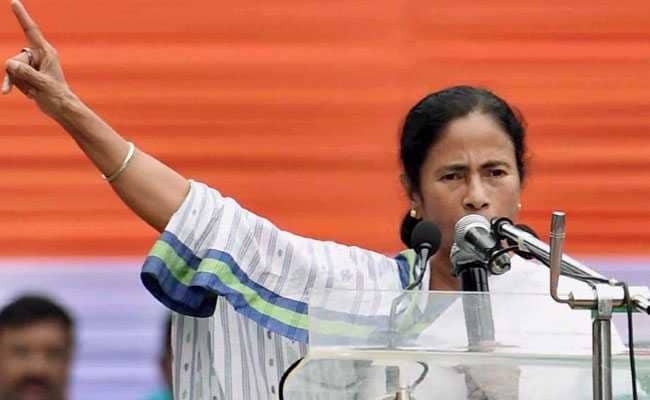 The Trinamool snatched the Noapara Assembly seat from the Congress and retained the Uluberia Lok Sabha seat with a mega margin of 4.5 lakh plus. Winning candidate Sajda Ahmed said it was "pure Mamata magic". Kolkata: Chief Minister Mamata Banerjee today trampled all over the opposition in the bypolls held in West Bengal. The ruling party Trinamool Congress marked the victory by spelling out a new objective: a bigger role for Mamata Banerjee beyond Bengal. The BJP too is talking magic - party chief Amit Shah's. He has set them a target of maximum seats from Bengal in 2019 and a government in Bengal in 2021. That spurred the BJP to the second place in both seats, reinforcing a recent trend of pushing the Left and Congress out of the way. The worst-hit party - the Congress, lost its deposit at Uluberia and Noapara. The Left narrowly escaped that fate, though some are still calculating a final score. But its votes may have helped the BJP maneuver itself, again, to second position in Bengal. Mamata Banerjee has put Delhi on notice. "BJP's downfall has started. I'm reaching out to all non-BJP parties wherever they are. Our victory is because of the immense love that people have for us." This is not the first time Mamata Banerjee has tried to bring the opposition together against the BJP. She had floated the federal front several years ago and that talk seems back on the table. Who will sit at the head of that table could a bit thorny. After all Rahul Gandhi now has the Congress's performance in Gujarat and now Rajasthan to his credit. Trinamool Congress MP Derek O'Brien was sure of one thing. "Mamata Banerjee is going to have a big role to play... if not the leading role to play in 2019. She doesn't need to ask for it. It's a natural kind of fit because of her experience as chief minister, her second term, she's been a three time union minister. And she is the undisputed supremo of her party. Everyone is looking for Mamata di to play big role," he said. Mamata Banerjee was in Kolkata today, and not at Sonia Gandhi's meeting of the opposition in Delhi post the Budget. But Mamata Banerjee most probably has got a ticket to ride to Delhi.